Summary: Our history consists to a shocking degree of myths, which means we stand on sand — not rock. This weakens us, diminishing our ability to clearly see the world and prepare for the future. Our cousins across the Atlantic share some of these myths about WWII. Today we look at one of these. For us it’s historical trivia, but we have to make a start somewhere. Did the Battle of Britain Alone Stop Hitler? Reviewed by Michael Kiene (Major, US Army Reserve). Originally published in the Marine Corps Gazette of April 2006. Republished here with their generous permission. The Battle of Britain is a stirring tale of how a handful of brave pilots of the Royal Air Force (RAF) thwarted Hitler’s plans to invade Great Britain. During the summer and fall of 1940 the RAF battled the Luftwaffe over the skies of southern England, while on the ground the British Army was still trying to recover from the debacle in Belgium and France that ended at Dunkirk. Its weapons abandoned on the beaches of France, and reduced to hastily trained recruits practicing drill with broomsticks instead of rifles, the British Army could offer little more than token resistance had the Germans crossed the channel. The future of Western civilization was at stake. If the RAF had lost the Battle of Britain, England would have been helpless to stop the German invasion that was sure to follow. Or so the common wisdom goes. The truth, according to author Derek Robinson, is somewhat different from the legend. In Invasion, 1940 Robinson sets out to debunk many of the common misperceptions (or “myths” as he calls them) about the Battle of Britain and the events leading up to it. He offers a compelling argument that while the RAF may have been England’s first line of defense, it was by no means the last. Robinson contends that even if the RAF had lost the Battle of Britain, the Germans could never have successfully invaded England. After their stunning success in France, the Germans had a few months (at most) in order to plan the invasion, train their troops, and assemble the vast quantities of boats, equipment, and supplies such an operation would require. In contrast, the D-Day planners had years to prepare for their cross channel invasion, as well as the advantage of having the industrial output of the largest economy in the world on their side. Even then, the success of D-Day was far from guaranteed. Germany never came close to having the ability to cross the channel. While Britain was wracked with fear over a possible German invasion, in Germany the planning for the invasion rarely rose above the level of wishful thinking. The legend of the RAF’s “finest hour” has grown over the years. 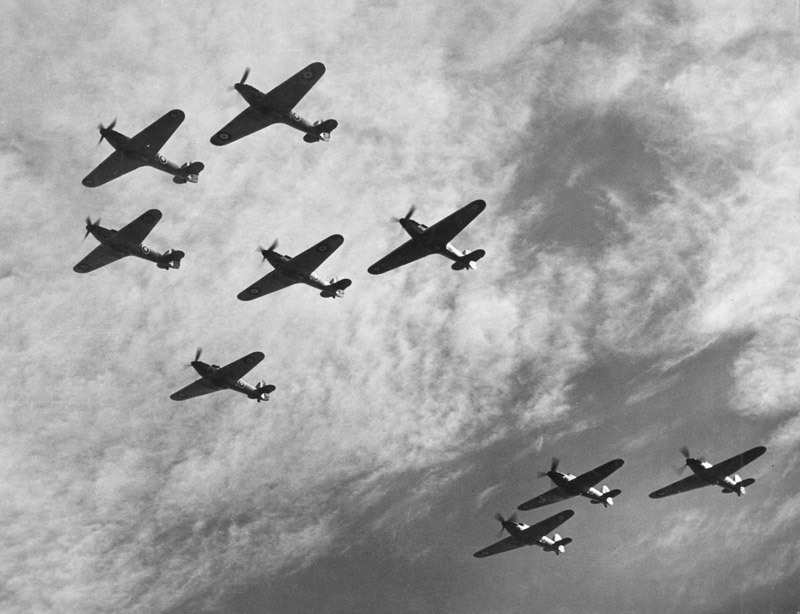 Winston Churchill, speaking before Parliament, said of the RAF, “Never before have so many owed so much to so few.” Movies made during and after the war (and all seeming to star Errol Flynn) depicted dashing young pilots rising up in the sky in their Spitfires and Hurricanes to valiantly do battle with the Luftwaffe. All of this fueled the myth that the RAF alone saved England. What’s left out of the picture is the Royal Navy. The navy survived the fall of France unscathed and stood as always as Great Britain’s primary means of defense. Derek Robinson does not in any way set out to belittle the RAF or its contribution to the war. However, he does seek to correct many of the popular myths about the war that have grown over the years. As a novelist, he has written several books about the RAF and the Royal Flying Corps, extolling their bravery and accomplishments during both world wars. Invasion, 1940 is based on his years of extensive research to ensure the historical accuracy of his stories. In the end, however, Robinson is first and foremost a novelist. His assertion of an overwhelming myth regarding the role of the RAF may be relevant for the general population. The academic community has long acknowledged the role of the Royal Navy, the lack of a viable plan on the part of the Werhmacht, and the overall improbability of an invasion. As a result, professional military officers also harbor few illusions. It has been postulated by many naval experts that due to the type of flatbottomed barge built by the Germans, simply running a Destroyer Squadron at full speed through their ranks would have caused many to capsize in the wake from the ships. The troops and their equipment would have suffered heavy casualties, and the invasion effectively stopped with little or no gunfire. 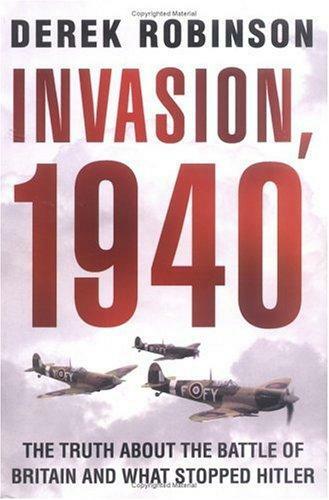 While not breaking any new ground historically speaking, Invasion, 1940 is worth reading for the person who wants to learn more about the true story of the Battle of Britain, instead of the myths that have grown up around it. … A policeman’s son from a council estate, I reckon I was born lucky. I had parents who read books, a public library on the corner, and the 1944 Education Act (State Scholarships for bright lads). I crossed the class barrier by going to Cambridge, got a degree in history, and learned to write boringly. Stints in advertising in London and New York changed all that. In 1966 I went to Portugal, wrote two unpublishable novels, returned to England flat broke, married, and finally got it right with Goshawk Squadron, which bought enough time to write the next ripping yarn. I’ve also done a lot of broadcasting, starting in the 70s with radio, when editing a tape meant brisk work with a razor blade, moving on to TV in the 80s, when Autocue was new and not always reliable, so that a 60-second piece to camera tested the memory and the nerves. I made a few dozen documentaries and did a ton of rugby commentary. I also chaired the first-ever Radio 4 phone-in, which used big-name studio guests (Robert Mugabe was the first), and created and presented a Radio 2 show called Hit List that was an inverted Desert Island Discs – six bits of music you never want to hear again. Very funny, and why the BBC dropped it is beyond understanding. As for pastimes, I was a grassroots rugby referee for 30 years, and still play more squash than my friends, or my knees, think wise. All of which is fine and good, but what really matters are the books. The rest is just ink, sweat and taxes. I’ve mentioned A.J.P. Taylor’s book “The Origins of the Second World War” on this site before, but I found that much in the same vein. We need to have our narratives challenged occasionally, refreshing the OODA loop, if you will. It seems that , had the invasion occured , there was a plan for resistance in place .If the people had indeed continued to fight, which we thankfully shall never know . Many civilians may have been involved ,and each only had a small role . This way one person couldnt incriminate too many others , but therefore it hasn’t gone down in history . Sometimes a throwaway remark hints at the organisation : old Ben kept a detonator in his shed at his allotment , if there was invasion had to report to tree by the airfield with it ; or Mavis had to call at the post office every day to ask who wanted to buy some eggs .Rivers were lined with concrete bunkers , and boulders were ready at roadsides to barricade roads . I can’t think such a set up would be deliverable from today’s centralised ,computorised gov. Robinson is a lightweight who is talking utter rubbish. I refer all of you to Corelli Barnetts excellent history of the British Navy in WWII. 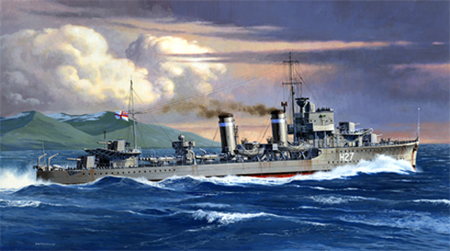 The navy had learned in the Norway campaign about the danger of air attack on shipping – one destroyer used Forty percent of its anti aircraft ammunition to stave off ONE German attack. In other words the British fleets defences against air attack were completely ineffective at the time. Barnett refers to the Cabinet submissions made by the Royal Navy at the time. They are referenced in his book. The navy position was that WITHOUT BRITISH AIR SUPERIORITY OVER THE CHANNEL THEY COULD NOT HOLD THE GERMANS AT BAY INDEFINITELY. The Navy could try, but the casualties in terms of ships would be extreme. Arguably, if Britain had lost much of its fleet in such an exercise, it would have been neutralised and the battle of the Atlantic could not have been won later. Myths grow and are perpetuated because they are useful to the people who hold them. Britian in1940 felt itself to be in dire straits, the Germans appeared unbeatable. Britian and its empire were alone aginst an implaccable foe.The British were also far from united, many favoured accomodation with the Nazis over continuing an unwinnable war. Churchill used the myths around the Battle of Britian to unite the British and the myths served the same purpose after the conflict. The myth alsoserved the Germans to explain how they were not able to overcome the many problems that faced them if they chose to invade England. the truth was, they just couldn’t do it. Nice explanation! I think you’ve nailed it. The myth is that there was one German operation to invade Britain in 1940. In fact the German Army, Navy and Air Force had different plans. The Army simply expected a souped up opposed river crossing, and expected the Navy to carry them over the channel. The Navy never took the idea seriously and went through the motions waiting for Hitler’s attention to turn elsewhere – Russia, or its own favourite the Med. The Luftwaffe thought it could win on its own by using terror tactics to cause a collapse in the will to resist. It hadn’t even learned the lessons of Dunkirk. Britain was lucky in that one of the few efficient parts of its armed forces was RAF Fighter Command, well equipped but scarecely properly equipped. The RAF did enough to make it painful enough for the Germans to desist. There would be no walkover and no collapse in civilian morale. You might argue it was the stroppy Cockneys as much as the RAF who won this victory. They were both in the front line and neither buckled. Hitler got fed up with waiting for the boastful Goering to deliver the goods and instead decided to take out Britain’s only likely ally Soviet Russia. That didn’t work out either. An addendum. It’s long been accepted that perhaps the only real chance the German had in 1940 was to go straight away in June after the shock of Dunkirk when Britain had a disorganised army with no weapons and not even yet the Home Guard, and Churchill had been in power scarely a week and still opposed by many conservatives (the great majority in Parliament) in the thrall of the appeasers Chamberlain and Halifax. Had the Luftwaffe instead of bombing, mounted a determined mass action (as they did on Crete) by (its own) paratroopers to seize coastal airfields such as Hawkinge and Lympne, and then put in immediate Army reinforcement by air into those airfields with light armour they may have tipped the political balance by “facts on the ground”. Whether of course they could have put such an operation together before the British position stabilised is the question. The famous Sandhurst war game suggested that even if the Germans could get a lodgement, it would not be able to be re-supplied, though that of course was based on a September invasion date. The British Empire stood alone at that point. So that’s Britain, Canada, Australia, New Zealand, India, South Africa …. all the way down to the Falkland Islands, and in addition to that the remnants of Poland (some excellent fighter pilots), Belgium, Netherlands (a lot of shipping and the Dutch East Indies), Norway, Czechoslovakia, a yet very small element from the Free French, oh … and some tommy guns and high octane petrol from the US. Not sure where the myths are to debunk. Even at the time it was known that the RN would have stopped any invasion … but it would have been, if not destroyed, very badly damaged doing so without air supremacy. Then the U-boat campaign would have brought the UK to its knees over the next year or so. Therefore the UK would have lost the war, not straight away but within a couple of years at most..
At the same time the German losses would have meant no invasion of Russia for at least another year. Perhaps then the strategy fight within the Nazi Govt might have meant they then did go for a Med campaign first … which would also have knocked the UK out of the war pretty quickly. The only myth is ‘the brave few pilots’. Rubbish, Dowding had created the most sophisticated air defence system in the World (which is copied by everyone to this day). The Germans not only didn’t win, they couldn’t win. The very best they might have managed was air neutrality over the south east coast, which might have tempted the Germans to try an invasion, which the RN would have stopped though probably at extreme cost. Even that was a real push and would have required Dowding and Park to really stuff things up badly. Park was the key as he was the day to day tactical leader, a bad mistake by him could have been disasterous .. but he never made one, in fact he was tactically brilliant.. The BoB has been war gamed over and over again by just about every air force in the World (and a lot of others) and it is almost impossible for the Luftwaffe to win, unless Park really stuffs up. But some have shown that the RAF could have been pushed back a bit (not a lot though) opening a possible landing craft corridor that if someone might, if they were totally insane, try to use. Even that is a push and depended on Dowding stuffing up. In reality he would have, long before then, pulled everything in from the rest of country, to shore up 11th Group (Park’s), instead of (correctly) maintaining a strategic reserve and regrouping/rebuilding areas. The real mystery of WW2 was why didn’t the Germans take the Med (taking out the UK), sweep through North Africa and get the Middle East and the oil (eg Iran at that time). Then setting themselves up for a strike to Russia from 2 fronts? If they had done that then they had a very real chance of winning WW2. And basically the whole Eurasian continent. The US would have been totally irrelevant in that case. Can you cite any expert analysis in support? I believe much of that is wrong. Many experts believe Germany had at least low odds of defeating the RAF if they focused on attacking fighter bases and radar sites. For example see John Kegan’s The Second World War. the structure of the German air force — designed for ground support, with mostly short-range light and medium bombers (the Messerschmitt 109 had a range of 125 miles).